In the last session we were talking about inventory control policies and different types of stocks. Talking about inventory I remembered a problem that I have observed at both companies I have done an internship at. Both times I have worked in the Accounting office and sooner or later we noticed that the inventory in our books and the inventory in our warehouse did not match up. One time this occurred because an employee just had not billed our supplies. The other time inventory had been thrown away which was not recorded in the books. Therefore I figured that this might be a quite common problem that occurs in many companies and is therefore an interesting topic for this blog. So let’s see: What are the most common reasons for inventory discrepancies? Re-count the stock in question. To make sure it wasn’t only a simple mistake during the counting process this should be the first step if numbers aren’t matching up. Check if the stock exists in another location. Double checking if the stock can be found in another part of the storeroom, another storeroom or even still on the truck of the supplier is especially important if a large number of items is missing. Make sure the correct unit of measurement was used. Even though all people participating in the count should be trained on the procedure still someone may have counted in liters or pounds, instead of boxes or individual units. Verify that the SKU or product identification number is correct. To make sure products are not labelled with the incorrect SKU check that the description in your inventory management system actually matches the product you’re counting. Ensure the product has not been mistaken for a similar product. This might happen when the counting staff does not realize that a variation in size or color is technically a different product with a different identification. Scan your inventory records for errors. A discrepancy may come down to a simple mathematical error or typo. Confirm that there is no missing paperwork. Search for any missing paperwork, which may not have been entered into your system yet to make sure that sales which have been unaccounted are included. Investigate whether employees or customers have been stealing stock. This is an unpleasant steps but necessary to find a logical reason for loss of stock. Maybe tighter security measures, such as CCTV cameras or security tags on products should be considered. Speak to your warehouse/storeroom managers. Talk to your managers to see if there was anything unusual during the stocktaking process. If so, some staff may need retraining or the entire procedure needs to be revised. Nowadays many companies use cycle counting for a more effective inventory management. Cycle counting means verifying the on-hand quantity of a specific number of products on a day to day basis. Nevertheless some products might be counted more frequently than others (for example an ABC analysis is conducted to determine products with a high value or turnover rate which are therefore counted more frequently). 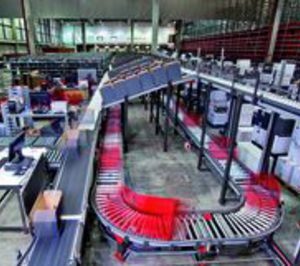 Compared to a yearly physical inventory, cycle counting is supposed to increase inventory data accuracy and improve customer service levels. The schedules for cycle counting may vary from business to business. They are determined by taking into consideration the inventory value, flow through rate, warehouse activity levels and staff availability. As I already wrote a lot you might want to get more information about cycle counting by watching the following videos. Meshworks Wireless, owner of Seemoto branded solution, and imec Messtechnik announced that they have started a co-operation which aims to provide an end-to-end solution for cold chain monitoring to the Pharma, Food and Transportation industries in Germany, Austria and Switzerland. Complete solution for easy and automated tracking of temperatures and locations. Cold Chainers now provides this end-to-end solution for international cold chain monitoring to the Pharma, Food and Transportation industries. Meshworks Wireless (owner of the Seemoto branded solution) is a Finnish market leading vendor of solutions for monitoring assets location, measurements, conditions and environments. Seemoto provides on-line access to real-time and historical data of assets. Seemoto’s solution entails a combination of novel wireless sensors, polymorphic data, internet services, flexible reporting and information sharing. The company is currently expanding its footprint Worldwide. Cold Chainers is an international oriented company specialized in monitoring and controlling the Cold Chain. The company, which is headquartered in Geldermalsen (The Netherlands), noticed an increased demand for monitoring temperature in the Pharma, Food and Transport industries. By working with Seemoto, Cold Chainers is able to offer a new, high end and flexible cold chain monitoring solution to its customers in these fields. Seemoto provides solutions for end-to-end Health Care cold chain monitoring. It includes comprehensive tools for medical tracking and product safety management creating automated processes with wireless multitasking sensors and cloud based web services. Seemoto enables monitoring and tracking of moving and static assets, like fridges, cold storages, warehouses, transportation boxes, trailers, and even over sea and air transported assets. It is extremely easy to install and scalable from the small businesses to the enterprise ones. Seemoto functionalities have been developed together with pharmaceutical wholesalers, logistical companies, hospitals and other cold chain participants to meet the needs of cold chain monitoring. Seemoto – Reduce risks of non-compliance and product loss in your supply chain. Seemoto solutions are developed for demanding food and pharma cold chain applications. Seemoto provides dynamic and scalable solution for its customers and it is used in five continents by hundreds of companies operating in food, pharma and life science industries. The future of container ships!? Nearly all container ships use heavy oil for their engines, a fuel that is made out of the left overs of the gasoline production, and extremely hazardous for the environment. There are about 50.000 container ships transporting goods around the world. The biggest 15 of them emit the same amount of exhaust gases as 750 million cars. And he not only describes the problem, he also comes up with an innovative solution: The ecoliner. That container ship with a hybrid, it can either be powered by a conventional ship engine using heavy oil or Diesel, or navigate with the wind. The technique for the sails that are going to be used was already developed in the 1960’s and it is called Dyna-Rigg, however it took a long time to implement it in modern ships and bring the proof that it works. Internet-billionair Tom Perkins ordered an 88m long yacht called Maltese Falcon, its launch was in 2006. Sails can be spread within 7 minutes and they are steered electronically, which allows to include on-time weather forecasts into the navigation plan. That allows to use windpower in a quite efficient way. This technique shall now be transfered to the ecoliner, which is currently in a prototype stadium. Once it has been built, the ship will be 130m long and have a cargo capacity of around 50.000 tonns. For comparison: the biggest container ship built is 395m long and carries up to 200.000 tonns of freight. So the ecoliner will not be more than an average size container ship, but the architect guarantees the same speed as motor ships and that the ship can be navigated by a comparable crew, so the overall performance will be equal to motor ships. The great benefit the ecoliner provides is the by far better ecologic footprint. Compared to an equal size motor ship, the ecoliner reduces the amount of CO2 emissions by 30 to 40.000 tonns each year. This is equal to the emissions of more than 20.000 cars. Depending on the weather emissions can be reduced between 50% and 90%. Though the advantages are clear, a quick realisation of this concept is uncertain due to the fact, that there is currently a big over-capacity of container ships. Besides that a lot of shipping companies are facing losses due to the economic crisis and therefore have no money left for such investments. Regarding the fact that oil prices are rather low, the advantages of the ecoliner becomes smaller. But in order to be ready for the future of container transport, shipping companies have to think about alternatives, and the ecoliner could be one. The most common problem in stock material is the order and clean and the cause is a work and cultural behavior which most of the people have. To solve this problema is necesary to keep a sustained practice to forge a habit in the persons who do not have the habit. For this purpose, methodologies have been developed to bring this attitude based on principles, even to be part of the values and organizational culture. The 5`s methodology is the most common practice to implement order and clean habits to the workers and is use to keep the order in the work place and detect posible damage in the áreas allowing the participation of all (individual / group level), improving the working environment, safety of people and equipment and productivity. This tool is one of the more common in lean manufacture by the elimination of wastes and unnecessary objects in the work station. The meaning of 5`s is form japanese languge which are Seiri (Sort), Seiton (Set in order), Seiso (Shine), Seiketsu (Standardize), Shitsuke (sustain). How is the implementation process it can see in the following video. This methodology have been develop following Deming`s cicle (Plan, Do, Check and Act) and is usefull as a tool in quality management for the reason of it could be perfectly adapt to ISO 9001 standards, specifically in the require 7.1.2 of ISO 9001:2015. Fewer mistakes in our work. Fewer useless movements and transfers. Pride of place to work. Greater commitment and responsibility in the tasks assigned. My post of this week is about Privalia – the biggest private club that sales online offering top brand fashion,home, sports & electronics . The company currently has 28 million customers worldwide and is a leader in each of which operates as Privalia (Spain, Italy, Brazil and Mexico), making it an international benchmark for the sector markets. The leading online fashion outlet , born in Barcelona in 2006 from the hand of Lucas Carne and Jose Manuel Villanueva, offering daily sales of leading brands at exceptional prices and exclusively for it´s customers . The data provided by ComScore, the main platform for measuring web traffic, the fashion outlet online market place Privalia as a leader in traffic in Spain in 2012, 2013 and 2014. The company was recognized as the Best Website Shopping in Spain by users in the contest Website of the Year in editions 2012 and 2013, Best Webshop Mobile in the Ecommerce Awards 2014 Website most popular shopping on the Website of the Year Edition 2015. Privalia stands out for its efficient strategy innovation, with pioneering initiatives in social networks and their commitment to sales through the mobile channel. One of the most striking examples is the Fan Shop, a concept created exclusively for the site Privalia in Facebook, which, unlike other existing applications in the social network. This company it´s utilizing the INVERS LOGISTIC, called also MOLDSTOCK or MOLDEVOLUTION. By following returns management best practices, retailers can achieve a returns process that addresses both the operational and customer retention issues associated with merchandise returns. 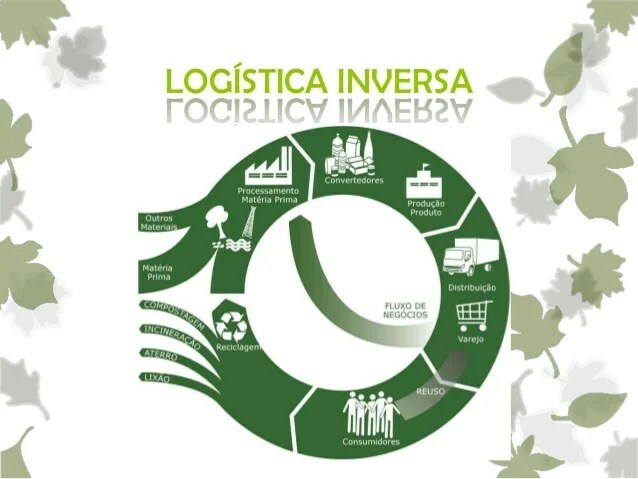 Further, because of the connection between reverse logistics and customer retention, it has become a key component within Service Lifecycle Management (SLM), a bussines strategy aimed at retaining customers by bundling even more coordination of a company’s services data together to achieve greater efficiency in its operations. We all know that the majority of our technology gadgets are produced in China, but the supply and manufacturing process isn’t quite as simple as it might appear. Apple more than most is a master at using the supply chain to its advantage, sourcing suppliers that can turn out parts in the most cost effective way whilst still adhering to the company’s quality requirements. It estimates that an iPhone would cost $4 more if it was built in the US, but crucially for Apple it would also mean the company had to pay a lot more tax on its profits (35 percent as opposed to two percent). There are many small components that do not go directly from the supplier to the final assembly, it must first pass through many previous phases where the equipment forming part weapon. A clear example are the pieces of fingerprint sensor of the latest iPhone. For this part of the device is ready to be assembled, there are parts that are traveling more than 19,000 kilometers. An example of this is the iPhone Home button, as this gives a trip around the world that you could not imagine. It all starts in the Chinese province of Hunan, specifically in the city of Changsha. There is the factory of the company Lens Technology, which is responsible for making the part that touches the user when you activate your terminal. Your employees are responsible for converting the sapphire crystal (as strong as diamond) on the cover of the button. Then they reach to that factory the metal rings that cover this element. Production of these is on LY Technology company, which is based in Jiangsu Province, located 885 kilometers over Changsha. When both parties have already been combined, together they must travel 1,600 kilometers to the premises of the firm NXP, where they join a controller chip come from a factory in Shanghai (which has had to travel another 650 kilometers to get there ) and the Touch ID sensor, which is responsible for fingerprint recognition. This component is not developed in China, but comes from the factory that NXP has in Europe. Therefore, it has had to make a trip of over 8,000 kilometers to meet with their peers. It does not end there. To these elements be joined the button itself, whose production will be commissioned to a subsidiary of the Japanese firm Panasonic located more than 2,400 kilometers. This piece already includes a component known as “booster” that leads behind a journey of 965 kilometers from the American company Molex will package at its factory in Shanghai. All these iPhone parts don’t joined eache other bind to any of the above factories. It’s Mektec, a Taiwanese company, who is in charge of that and also puts its bit by incorporating a flexible circuit handles. The result has to travel by boat more than 2,400 kilometers to a call at a laser welding plant located in Japan, owned by the firm Sharp, who takes charge of sealing the Touch ID module. Then, fully functional and ready to be incorporated into the assembly of the iPhone, the component must travel the 2,092 kilometers that separate it from the Foxconn factory located in the Chinese city of Zhengzhou. That is where some of the 128,439 employees of Apple supplier controversial finish assembling the device. When he joined the other parts of the phone, the iPhone Home button and takes her back more than 19,300 kilometers. But there has not finished everything. Until you reach the end users, we still expect the occasional trip by land, sea and air bound for stores distributors and from there to the pockets of the fanboys. True to its “Ambition 2022” strategic plan, FM Logistic cooperates with major players of logistics markets in emerging countries. A real business launchpad, India offers FM Logistic extraordinary opportunity for its development in Asia. In 2015, the Indian economy experienced a growth rate of over 7%. By 2030, it will be the biggest consumer market worldwide and the third largest economy in the world. Furthermore, the Indian logistics market is at the dawn of an unprecedented move to reorganization and consolidation led by the new tax harmonization law for products and services (GST) and by the swift development of e-commerce. FM Logistic and Spear Logistics, which is ranked among the TOP 5 Indian providers, will operate in the strategic sectors of e-commerce, telecommunications, retail, consumer goods, industry and automotive. Together, the companies are going to prepare the groundwork in order to implement a logistics plan in line with tax harmonization in India. This project will lead to the creation of regional distribution centers that FM Logistic and Spear Logistics will manage from multi-client platforms, which will be set up near the main Indian cities. “This alliance of skills enables us to offer our customers a global and reliable service – from warehousing to distribution and transport, covering all distribution channels, including e-commerce, for industrials and retailers, and for all sectors”, says Gautam Dembla, Managing Director of Spear Logistics. “With the acquisition of Spear Logistics we are integrating a company of great logistics professionals”, affirms Jean-Christophe Machet, CEO of FM Logistic. “These new teams constitute an extraordinary asset in meeting the requirements of our customers in a major FMCG market”. In addition to its in-depth knowledge of the diversity and complexity of the Indian market, Spear Logistics brings with it nationwide coverage and a customer base comprised of major national and multinational companies. FM Logistic will be bringing its international network into the partnership, along with its reputation, its cutting-edge working tools and all the latest technologies in logistics innovation. Spear Logistics was created in 2001 by private investment funds. It is one of the leaders in Indian logistics with a revenue of 18 million euros (by the end of financial year March 2016). 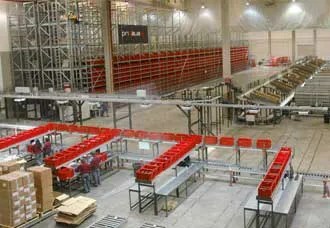 It now boasts a surface area of 270 000 square metres and manages 75 warehouses in 23 Indian cities in 12 states: Mumbai, New Delhi, Pune, Hyderabad, Ahmedabad, Bangalore, Chennai, Nagpur, Kolkata and others. As a specialist in contract logistics, the company is ranked among the top 5 providers in the Indian market with a wide range of services: warehousing, distribution, transport management and high value-added services such as co-packing for e-commerce, the automotive sector, industry and telecommunications. Its customer portfolio includes major Indian and international market leaders : Atlas Copco, Siemens, Cummins, Snapdeal, Honeywell, Indus Towers, Crompton Greaves, Federal Mogul, Castrol, Laboratoires de Dr Reddy, Owens Corning, among others. With several awards under its belt, Spear Logistics is recognised for providing high quality services and for creating added-value for its customers. The company’s vision is to be the most reliable and reactive logistics service provider. There are 1,600 employees at the company. Thanks to the competency and skills of its expert teams, Spear became a key player, awarded for its operational excellence (three prizes in 2015 including the company of the year award attributed by the Indian Institute of Materials Management). FM Logistic is a leader of the Russian logistics market. Since 1994, the company is a recognized expert in warehousing, transportation, co-packing and customs operations. The group of companies works on the FMCG and distribution market with a wide range of products, industrial and pharmaceutical goods, perfumes and beauty products. Moreover, FM Logistic provides complex logistics services to producers and distributors of healthcare and home care products, as well as perishable goods. As of now, FM Logistic in Russia has 8,000 employees. As of 31 March 2015, the turnover was over 14,7 billion roubles, which is 17% more comparing to the previous year. During that period over 93 new contracts for rendering all kinds of logistics services had been signed. The company continues to develop and negotiates with new potential partners.